CDHA’s board of directors works year-round in service of all members, setting priorities for the association and advocating for the profession and the importance of oral health to overall health. Twice a year, board members meet in person to discuss important operational and policy matters, and review the association’s progress in meeting its strategic goals. The CDHA Board of Directors met in Ottawa, Ontario, February 22-23, 2019. One of the key roles of the Board of Directors is its fiduciary responsibility. To ensure ongoing competency in this regard, the Board had a financial education session and approved the governance budget for the next fiscal year. The Board approved an amendment to CDHA’s investment policy. In addition, the Chair of the Audit Committee, Tiffany Ludwicki, presented an update of the audit committee meeting. The Board also approved the signing of the audit engagement letter with KPMG. The Board directs, controls and inspires CDHA through the careful establishment of broad written policies reflecting the Board's values and perspectives. Thus, one of the roles of the Board is monitoring and assessing policies and executive limitations prior to each Board meeting. The Board reviewed and accepted the CEO Monitoring and Assessment Reports. The CDHA Board appoints representatives to the International Federation of Dental Hygiene (IFDH). Reports were reviewed and accepted and Tracy Bowser officially transitioned to the position of IFDH delegate, taking over from Donna Scott. The board approved a motion to be presented at the upcoming IFDH meeting in Brisbane in August. The CDHA Board has a series of awards that they grant on an annual basis. 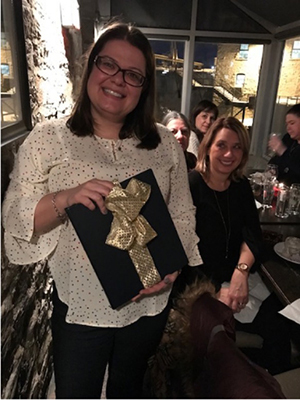 The CDHA Life Membership Award is awarded annually to one individual who has made an outstanding contribution to both the profession of dental hygiene and the association at the national level. Sharon Compton was the successful recipient of this award. 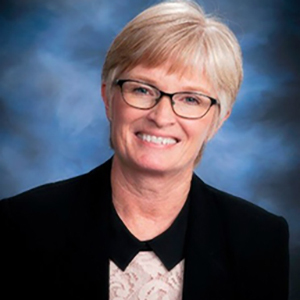 Sharon was noted as an exemplary professional, teacher, colleague, mentor, advocate and leader of dental hygiene at the provincial, national, and international levels. On top of the many achievements detailed in her nomination, her nominators highlighted her ability to inspire and focused on her integrity, optimism and the relentless pursuit of advancement of our profession. The Distinguished Service Award recognizes a dental hygienist who has made a significant contribution over a minimum four (4) year period to the advancement of the dental hygiene profession. Cindy Fletcher was the recipient of this award. 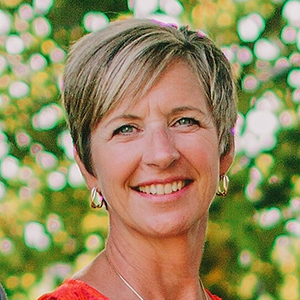 Nominators noted that Cindy is a critical thinker, visionary, communicator, and leader - having worked over the past 22 years to assist the BCDHA to grow and develop from 1316 members in 1996 to over 4000 today. An election will be held this year for the Director positions in British Columbia, Manitoba and Prince Edward Island. Tiffany Ludwicki was elected for a second term on the Board. The Board elected Tiffany Ludwicki, Director from Newfoundland and Labrador, as President-Elect for CDHA. Sophia Baltzis, Past-President, with bound Publication of Oh Canada! The survey included respondents from each province and were representative of our membership across the country: 3,780 (22%). Last fall, CDHA implemented a Member and Family Assistance Program (MFAP) as a counselling and coaching resource for members. CDHA has recently hired a Manager of Professional Practice (Donna Wells) to dig deeper in the prevalence of harassment, bullying and abuse in the workplace among other health services, and what role CDHA can play in addressing these issues and supporting our members. At the Fall Board meeting, with the impending legalization of Cannabis, a Cannabis Task Force was struck to prepare some education/background information for the Board. The task force presented a report at the Winter meeting which included (1) education (2) impact on dental hygiene practice (3) impact on oral and overall health (4) impact experiences by other countries and (5) what other health professions in Canada are experiencing, sharing, publishing, etc. The Board approved their plan and governance budget for the 2018-2019 fiscal year. Prior to the board meetings, Directors participated in a Board lobby day. 20 meetings were held with members of parliament, senators and senior policy staff with the objective of increasing awareness about the dental hygiene profession and the oral-systemic health link. In addition to providing education, the group was focused on advancing solutions for the oral health care needs of Canada’s seniors and Indigenous peoples. See full report.